For as long as I can remember, Father’s Day started with breakfast in bed. Actually, since I wake long before my brood, it started with me milling around then getting back under the covers to feign sleep so they could “surprise” me with breakfast. I would never have told them, but I hated breakfast in bed. I liked the idea of it but not the practice. All four of my girls would bound into my bedroom with excitement, hand over a brown tray filled with biscuits, jelly and coffee then leave me to have their own breakfast in the kitchen. Off in the distance I could hear them chatting and giggling as they ate with mommy. On the very day meant to celebrate my role in the family, I sat alone wiping jelly on the sheets because whichever one was napkin-bearer neglected her duty. Strange custom. They have passed the age where breakfast in bed is fun. In fact, as teenagers they now believe that mornings are a punishment sent from old people to rob them of their joy. I don’t miss breakfast in bed. But there is something missing. People have always had odd reactions when they discover I have four daughters. Some make jokes, some say they are sorry, and some just stand open-mouthed trying to put themselves in my shoes. It’s okay, I’ve heard them all. I don’t remember a time when I took offense to anything anyone said, because it doesn’t bother me. I love my girls and believe I was given exactly what I was intended to have. Only it’s not true. It was a stupid line. I miss the little one like crazy and I always will. The chair at the table will always be hers. The room at the top of the stairs, sink in the bathroom, seat in the van – all hers… forever. She has left little time bombs all over our lives that detonate randomly – a computer file named KyliesDoNotTouch, her signature on a basement wall stud, her bald Mii character on the Wii game system. The bombs bring both laughter and tears when they explode. And yet, I wonder. I wonder if I am often focused too much on what was taken and not what remains. The great loss makes it hard to fully appreciate the uber-talented actress, the creative genius, and the graceful dancer who all at one point flopped onto my bed as curly-headed breakfast servers. They are amazing young ladies. So while I will forever be proud to be called Kylie’s daddy, I am equally proud to be called Meredith’s daddy, Kendall’s daddy, and Jenna’s daddy. I hope they know that. I will tell them today. If I have learned nothing else over the past year, I now know that life comes with no guarantee. The next breath you take may be your last. Likewise, the same holds true for each and every person you love. If I hold enough sway to offer any of you advice: tell them now. Love them now. Don’t wait a moment because the next may not exist. The hole in our family will never be filled and it seems especially deep on days like today. While much remains, there is and forever will be something missing. You know what else is missing? An end to this post because I think I hear them rumbling around with the tray in the kitchen. Oh crap, I gotta pretend to be asleep! Thank you! A thorn among roses am I. Such beautiful thoughts and words. So sorry for your loss. I know special occasions are so hard. My sweet 23 year old daughter went to heaven a year and a half ago in a tragic drowning accident. We miss her terribly, but as you also have a comfort of seeing her again one day. Praying for your family. Likewise, the same holds true for each and every person you love. If I hold enough sway to offer any of you advice: tell them now. Love them now. Don’t wait a moment because the next may not exist. These days, my kids are a hundred miles away, busy living their lives, so I take every chance to tell them what I told them every day we were together. I am getting close to that, a few more years and they’ll all be off. I cannot imagine that in my wildest dreams. this is beautiful, mark. i thought about you today, along with all of the other father’s who have someone dear to them missing on this special day. i think you’ve said it perfectly, with remembering your daughter with all the joy and emotion of a father, along with your other daughters in the same way. happy father’s day and take cover! Thanks Beth. I’m doing my best and the girls are making it special. 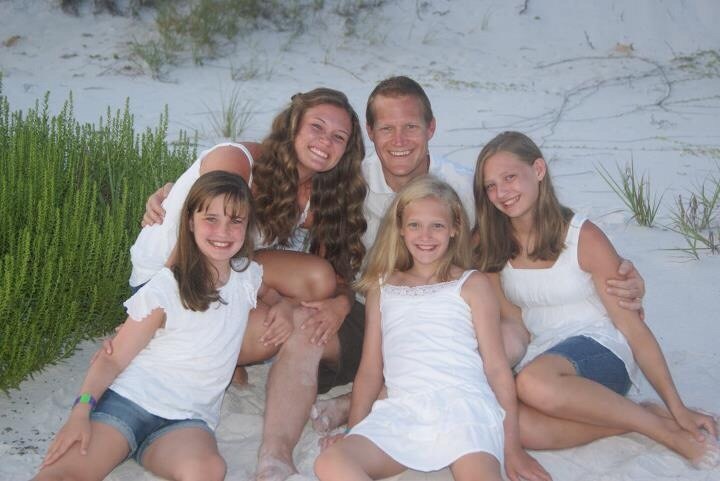 Happy Fathers Day Mark, you are a great dad! You love your girls and your family with your whole being. I can only imagine how deeply you miss Kylie today and everyday because of the love you have. Enjoy those precious girls today’s. Sending hugs and prayers. Thank you Jill. I do miss her like crazy, but these three are keepers. Thank you Della. I’m sorry for your loss. We have to live in the moment and not let love go unspoken. Blessings. Thanks Paul. It’s been a good, but tough day. Happy Father’s Day! Hope they remembered the napkins and you have lovely girls. It was great to come in this morning and read your post. I was missing my Daddy yesterday as it was his 5 year anniversary in Heaven this past weekend. You made my morning! I’m so glad, Janet. Thanks for letting me know that. Just saw the movie, Inside Out, on Father’s Day, actually. Reading your post reminds me that so often our happy memories can be touched by sadness and vice versa. You are finding fullness in the midst of the loss, or at least trying to. Thank you for sharing your heart with us. And Happy Father’s Day. You are such a special man, Mark. May Our Father continue to surround you all with compassion, healing and His special peace and joy. Thank you Susan. Sometimes I could use all of those in different measure.